CMT’s Consulting team helps empower our Federal, State and Local Governments and Commercial customers to make impactful business decisions that help drive value for their organizations. Our consultants have extensive experience working with organizations of all sizes in a wide variety of industries. 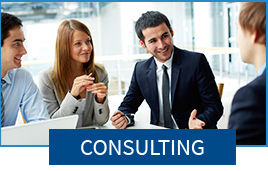 Contact CMT to learn more about our Consulting Services.